Kelly's Shoe Cream polish has a blend of conditioners and waxes to shine your shoes while nourishing the leather and protecting it from the elements. 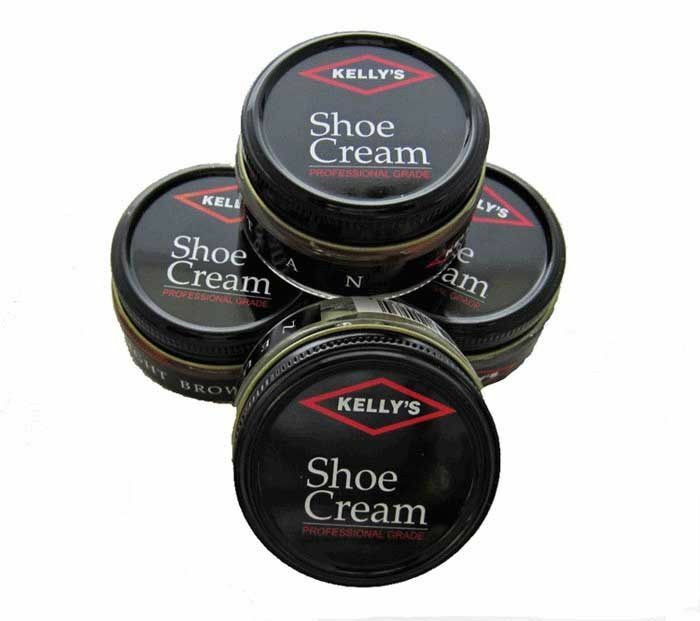 It is similar in texture to the Meltonian Shoe Cream which we have sold in the past but is no longer available. Kelly's products have been used by professionals since 1899 and are a division of The Fiebings Company. We have sold many of their products online and in our shoe repair shop for years. We have 18 colors available in this polish. 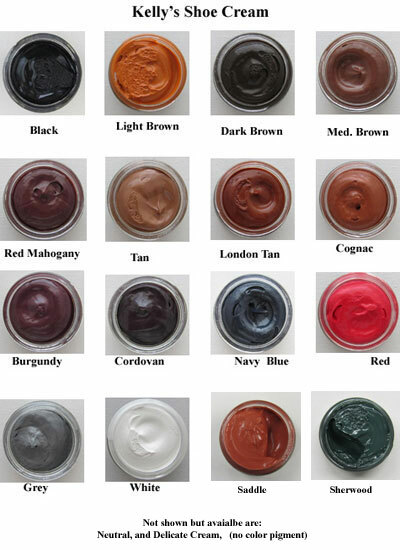 The Neutral doesn't have any color pigment in it so can be used on any color leather and the Delicate Cream has a light sheen to it and also no color pigment. 1.5 oz. jar.